This is a genus of aphids almost all gardeners and organic vegetable enthusiasts will know and love. 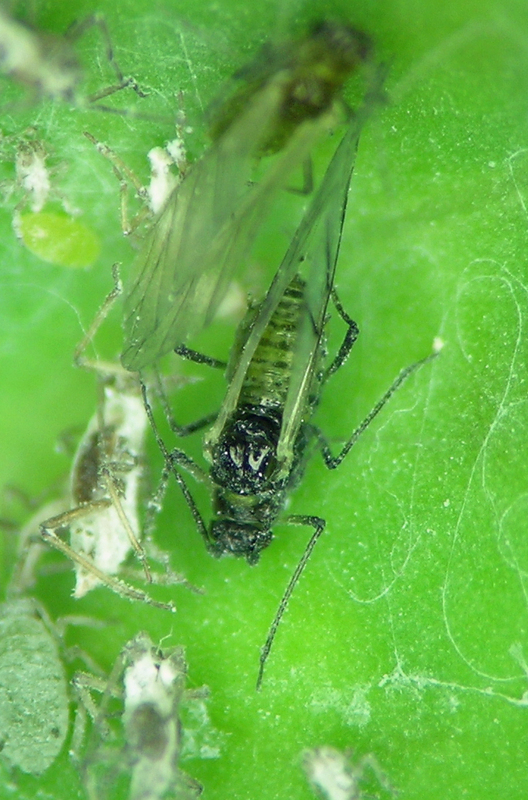 One species of the genus is the mealy cabbage aphid that infests garden cabbages and relatives all over North America. 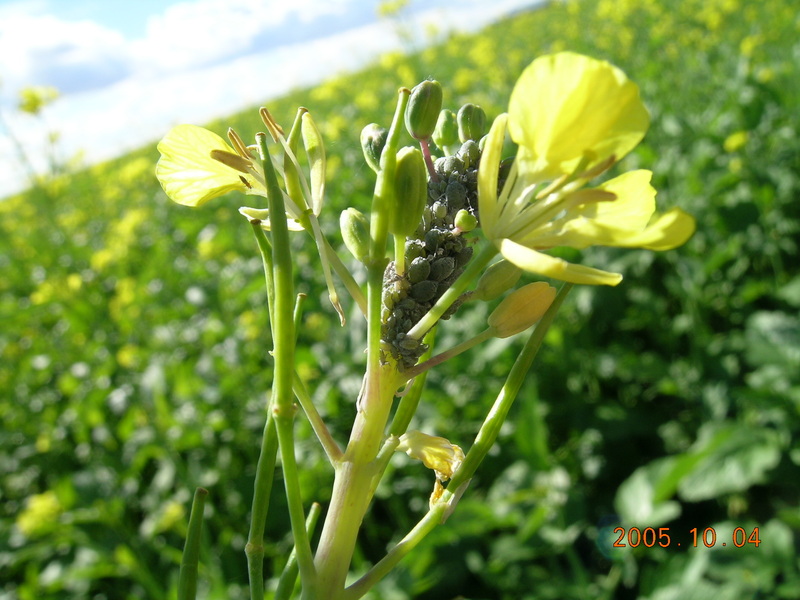 Like many aphid genera, the boundaries for it, or the defining characters that place a species in it, are not clear. That said, the species have some similarities in both morphology and biology and are likely closely related. 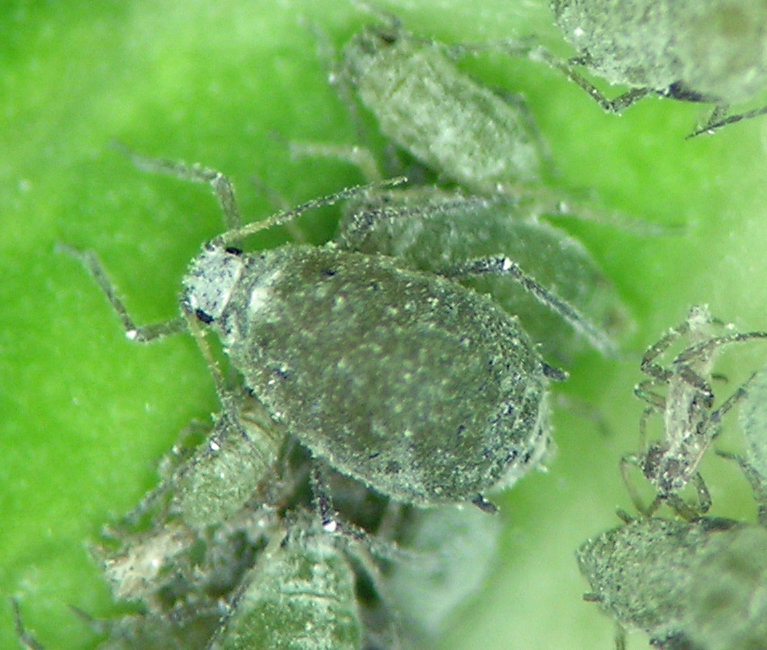 Cabbage aphid looking like gardeners’ worst fears for their broccoli. So here is the gardener’s dreaded cabbage aphid; in fact it is probably dreaded by grocers as well, since it can sometimes be found deep inside heads of broccoli on supermarket shelves. Originally from the Palaearctic, this species has invaded almost all parts of North America. In many places it is entirely anholocyclic, forgoing the sexual cycle. In my former neighborhood in Idaho, however, I was able to capture these photos of cabbage aphid stages all together on my neighbor’s cabbage in mid-October. Brevicoryne brassicae apterous vivipara with nymphs in the fall. Brevicoryne brassicae ovipara with an egg. 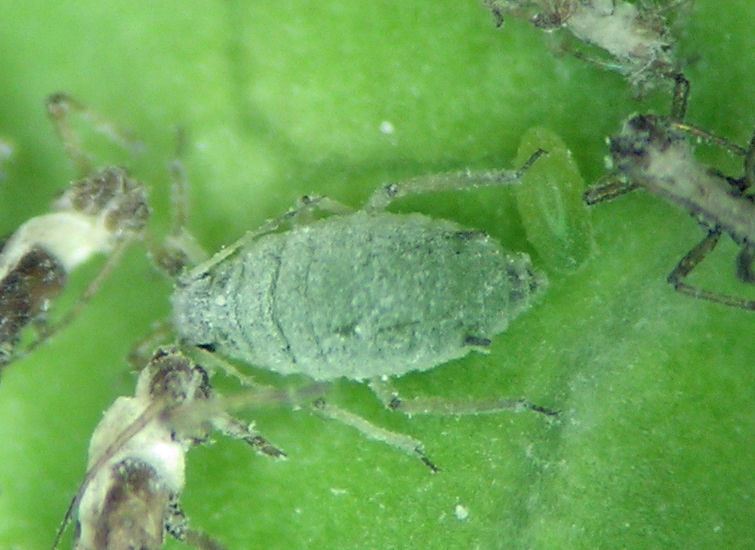 The other objects are shed skins of other aphids.